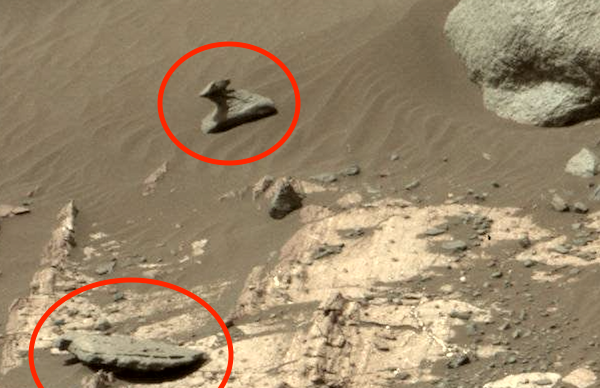 UFO SIGHTINGS DAILY: Wing Sculpture And Stone Tablet Found On Mars, Feb 2017, Photos, UFO Sighting News. 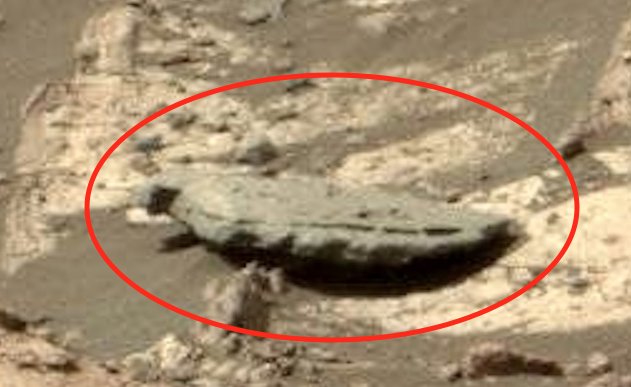 Wing Sculpture And Stone Tablet Found On Mars, Feb 2017, Photos, UFO Sighting News. 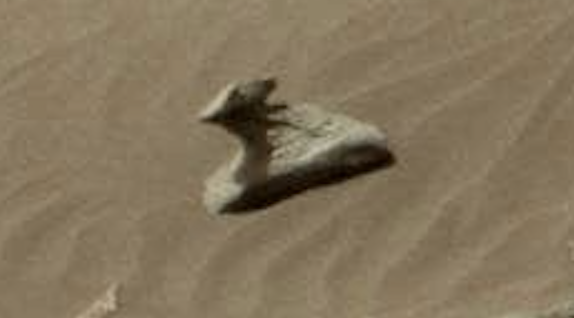 This alien artifact was found by a UFO researcher in France named Christian Mace. 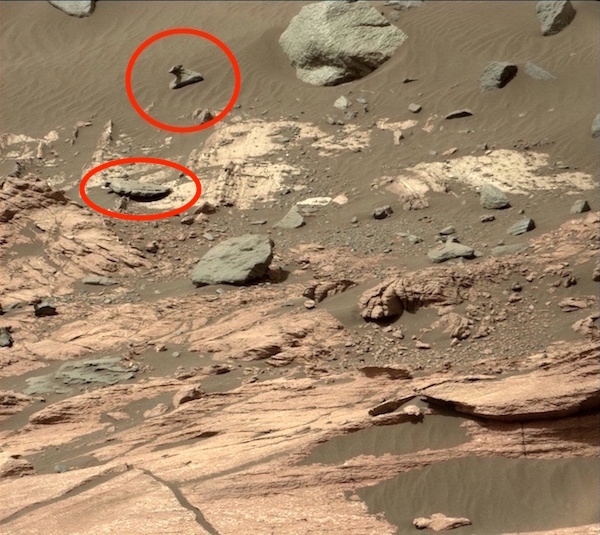 He has found a very bizarre and interesting alien sculpture on Mars. The object above looks to be one wing of a statue that has fallen over. You see on its far right it has a flat base, and on its side its has lines engraved. It seems this is a statue. Also there is another similar material (defined by color and carving) just a little ways below the wing. The second object looks to be a carved stone tablet.